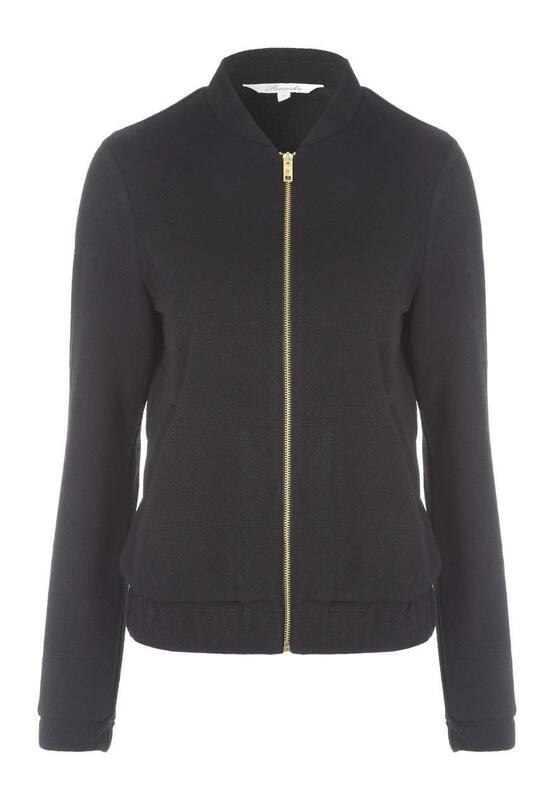 This women's black jersey bomber jacket is the ultimate casual cover up. With a zip fastening and a textured patterned finish, this jacket is a fashion forward option for off duty days. The jacket is okay but was more of a crepe fabric than the advertised jersey fabric. Wasn't that impressed overall.